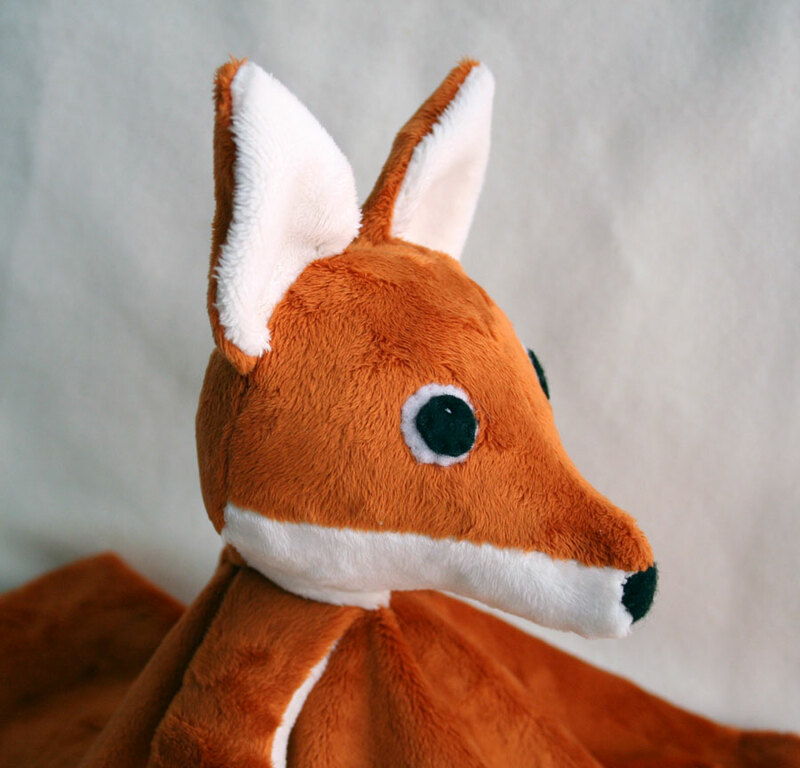 Today I am releasing my latest pattern - a fox lovey blanket (affiliate link). I have been thinking about making a fox lovey for some time. There are so many cute fox things out there, but I haven't seen any fox loveys. 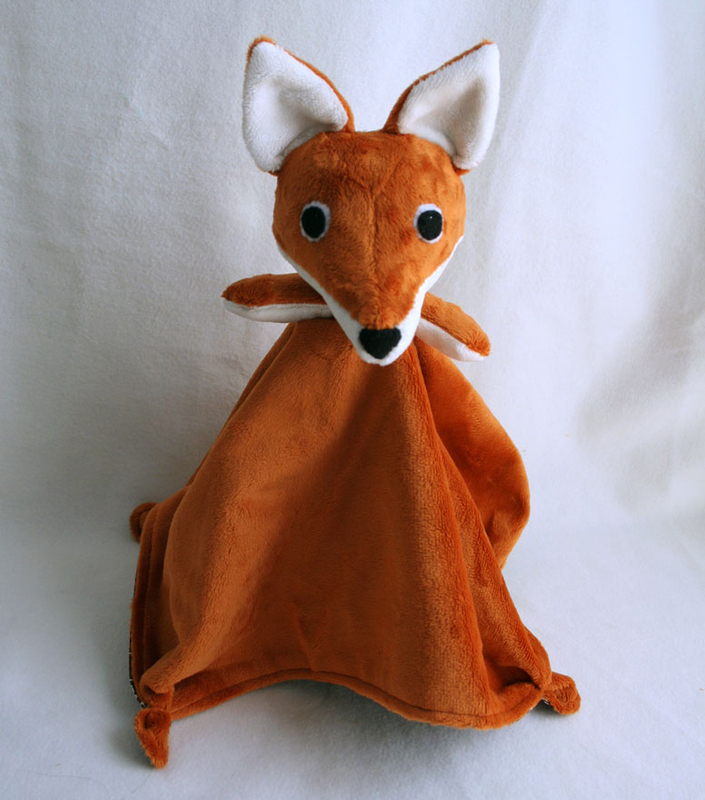 I just know there is a fox lover, or future fox lover, out there who will love snuggling up with their very own fox lovey. My big kid has already adopted one of my earlier versions of this lovey and appointed it as the new king of all loveys (replacing lion lovey - his original lovey from when he was a baby). If you make it with minky, as I did, it makes for a super soft and cuddly friend. The fabric I used for my model is Minky Cuddle Rust and Minky Cuddle Ivory. 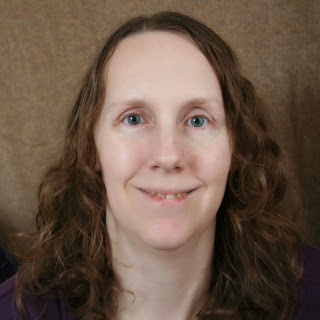 If you haven't worked with minky before, be warned - you will get little bits of it all over you from the raw edges. Fleece is less messy to work with and will still give you a good result. If you have made one of my loveys before, I changed the method by which the arms and head are attached to the blanket for this lovey and I think, although it still involves sewing by hand, it is a lot easier. 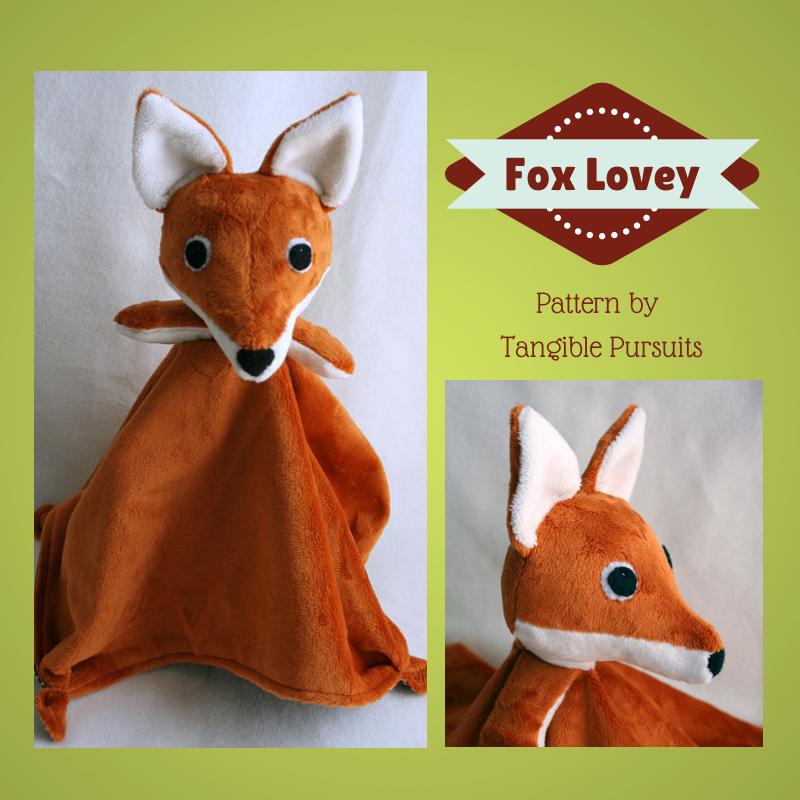 The fox lovey pattern is now available for purchase on Craftsy (affiliate link).